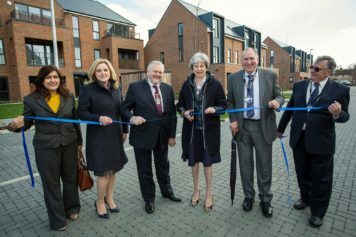 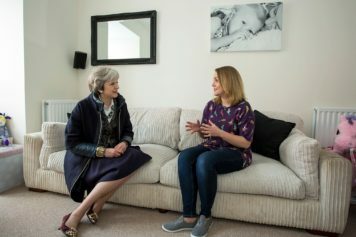 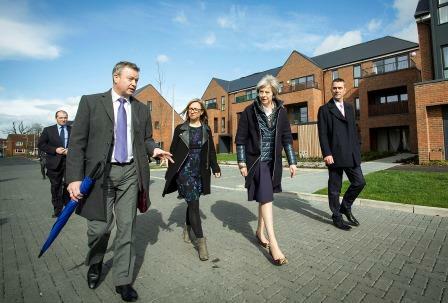 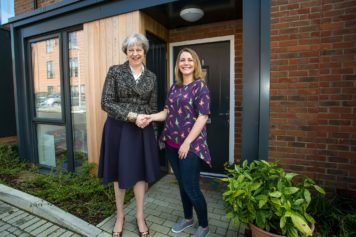 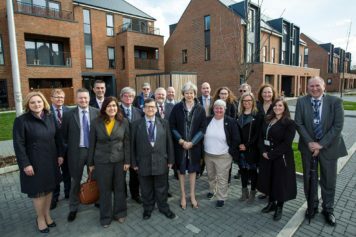 Wokingham Housing (WHL) together with Wokingham Borough Council welcomes Prime Minister, Theresa May, to officially open its flagship, affordable housing development at Phoenix Avenue, Wokingham. 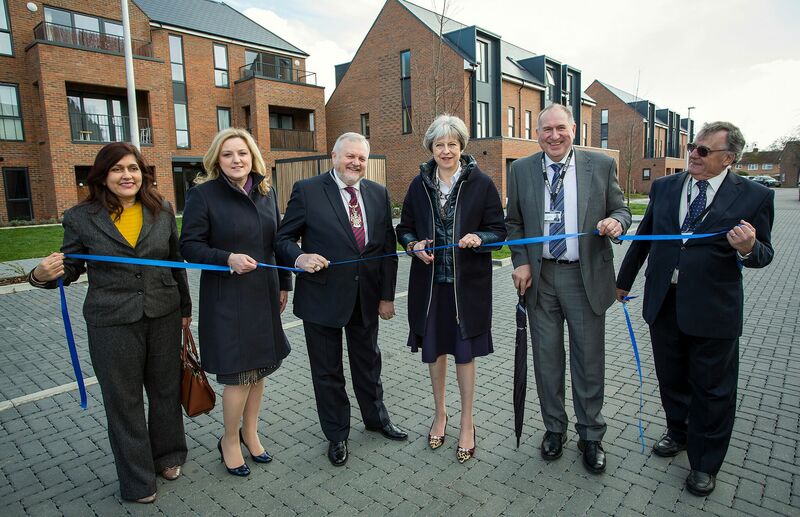 The Prime Minister met with residents, the Deputy Mayor, Councillor John Kaiser, staff and Councillors associated with the new Phoenix Avenue development to formally open the 68 houses and apartments scheme with a ribbon cutting ceremony. 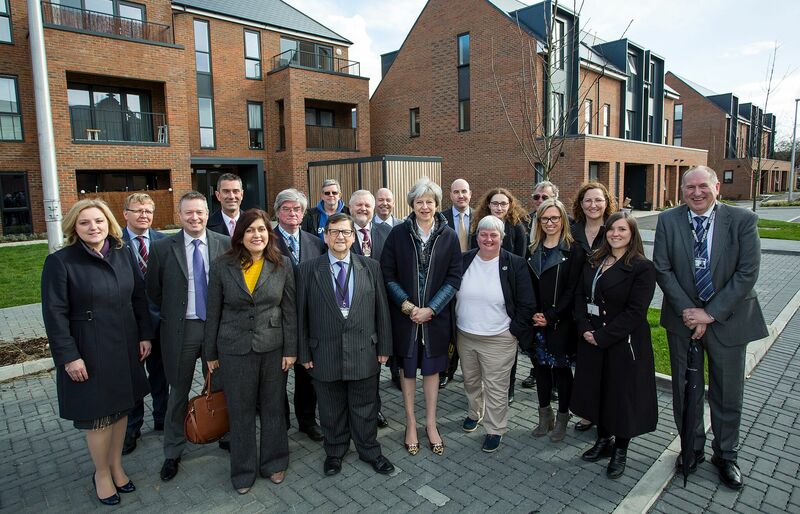 This was a proud day for Council owned housing development company Wokingham Housing, and its sister organisation, Berry Brook Homes, who own the development. 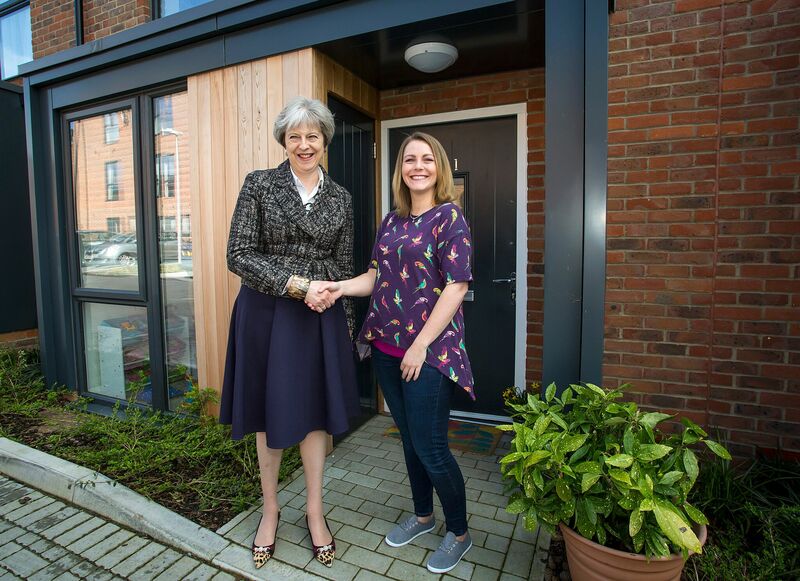 As Theresa May walked around the rest of the estate she was spontaneously greeted by excited tenants and well-wishers, including six day old Ted Young who became an overnight star as a lovely photo was captured of him being cradled by the Prime Minister.